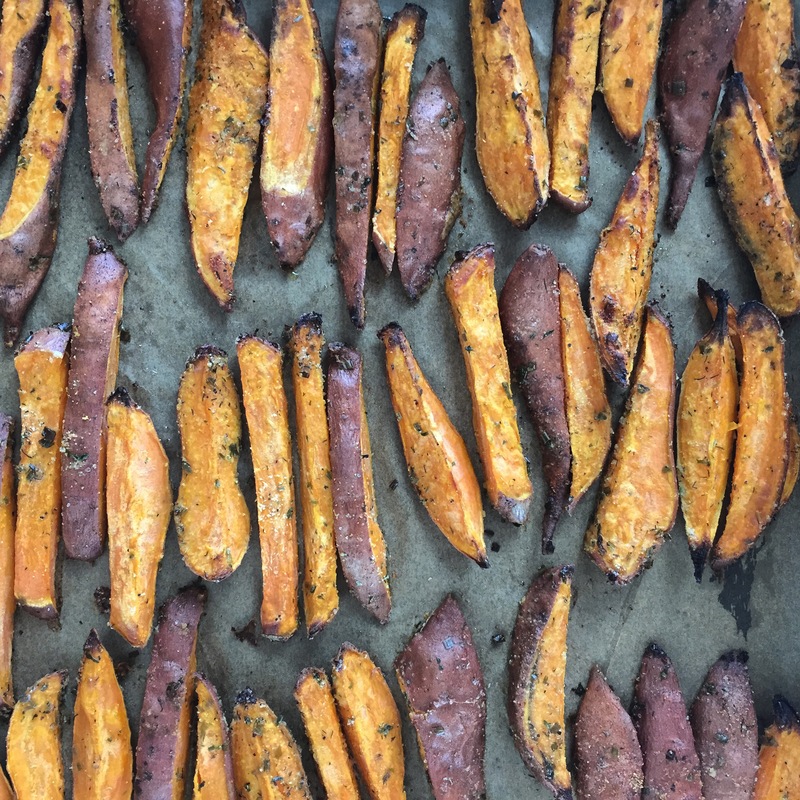 Take your sweet potato fry addiction to a new level. In a small bowl, mix together all spices and herbs. In a larger bowl toss yams with oil spray to coat. Toss with spice mixture and spread out evenly on a parchment lined cookie sheet. Bake for 30 mins or until ends are crispy and golden. Dip in some BBQ or wing sauce! yumm this looks so good! !